about health care and prosperity. by his ways of excellence. so you keep on seeking his will. May you see the goodness of God on earth. Happy Birthday. God bless you with his promises. 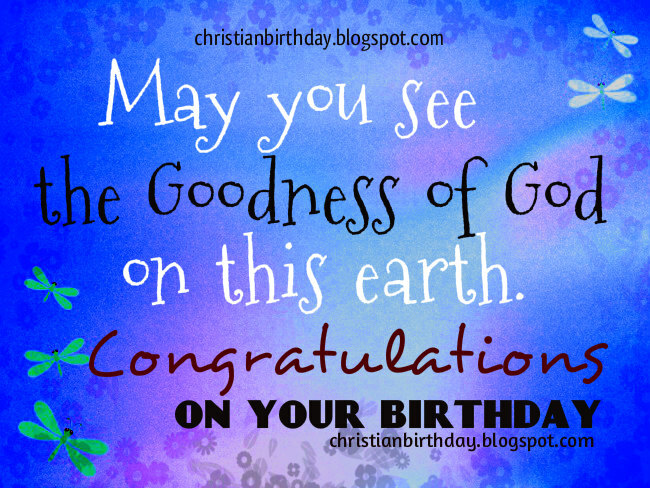 Free christian card for birthday , free quotes, nice religious images to share by facebook. twitter, mail.